Charles Nathaniel Joyner, Jr. was born in Durham, NC on February 19, 1935 to the late Charles Nathaniel Joyner, Sr. and Victoria Manley Joyner. He departed this life on January 22, 2019 in Durham. He was a 1953 graduate of Hillside High School and a 1957 graduate of North Carolina Central University with a major in political science. While in high school and college, he played basketball, tennis and golf. Charles spent two years in the military serving in Korea in the late 50’s. As a member of a special services unit, he entertained the troops with his outstanding vocal talent, and also played on the military basketball teams. After leaving the military, Charles worked with social services in New York City as a supervisor. As a musician, he sang background for Brook Benton, Harry Belafonte, and was the tenor with the Deep River Boys, touring Europe, Canada and Mexico for several years. Returning to Durham in 1968, Charles taught for a while in the public school system, and directed a drug rehab program. During this period, he was recognized in the Durham Herald for his poetry, some of which has since been published. He performed with the North Carolina Central University Drama Department and directed small bands in local hotels and supper clubs. He later held a position at Blue Cross and retired from Verizon. His only child, Kimberly, was killed when she was hit by a car in New York City at the age of five. He was a member of First Calvary Baptist Church, where as a child he sang with the Male Chorus and later with the Junior Choir. 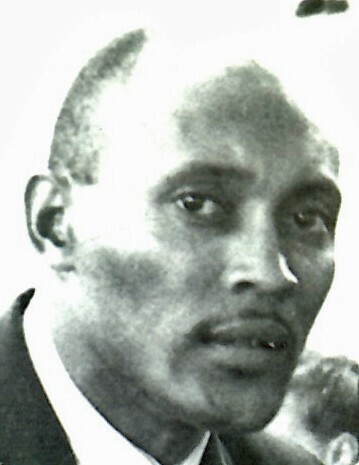 Charles is survived by two sisters, Elnora Joyner Shields of Durham, and Victoria Joyner Phillips of East Point, Georgia, cousins, nieces and nephews, a sister-in-law Alexine Miller and other relatives and friends.